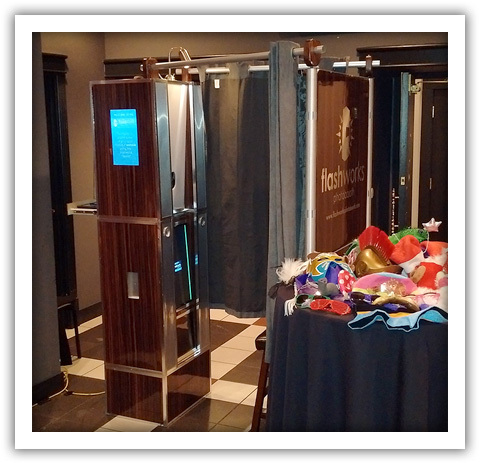 Booth 3 took our design in a different direction with side-screens and videobooth functionality. 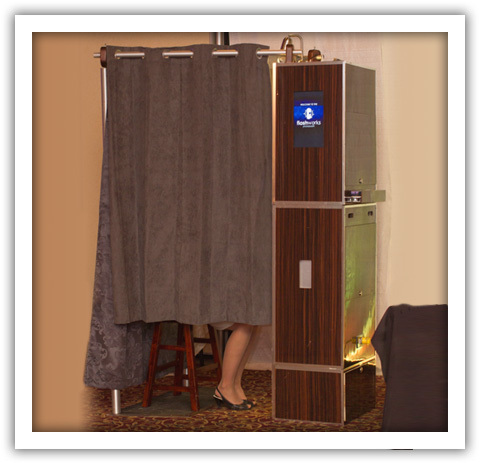 Booth Three is our second two-piece, go anywhere photo booth design but the first with side-screens. 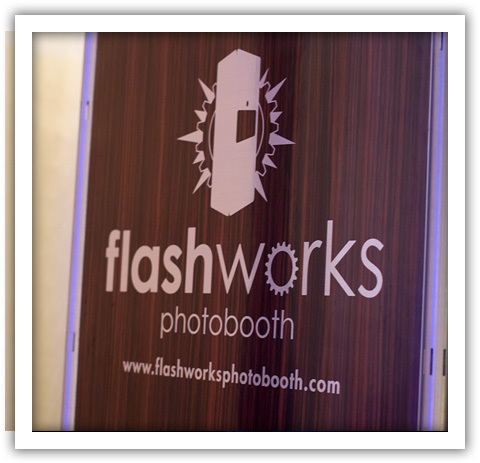 Big and bold logo applied on mahogany laminate. View of the interior stainless steel look and 22″ vertical touch screen.